'By turns hilarious and heart-rending. Plunges fearlessly into the murky grey areas of race and family, of struggling to find common ground, of trying to talk to our children and help them make sense of it all' Celeste Ng 'Does Donald Trump hate Muslims?' 'Is that how people really walk on the moon?' 'Is it bad to be brown?' 'Are white people afraid of brown people?' 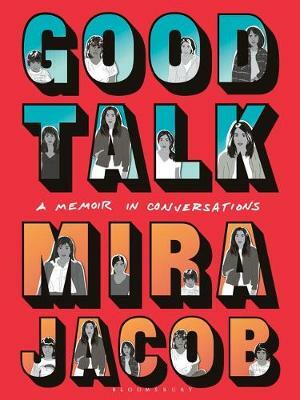 Inspired by her viral BuzzFeed piece `37 Difficult Questions from My Mixed-Raced Son', Mira Jacob responds to: her six-year-old, Zakir, who asks if the new president hates brown boys like him; uncomfortable relationship advice from her parents, who came to the United States from India one month into their arranged marriage; and increasingly fraught exchanges with her Trump-supporting in-laws. Jacob also investigates her own past, including how it felt to be a brown-skinned New Yorker on 9/11. As earnest and moving as they are laugh-out-loud funny, these are the stories that have shaped one life, but will resonate with many others.